Earth Day presented a cool spring morning with conditions that couldn’t have been better for some light manual labor for a good cause. 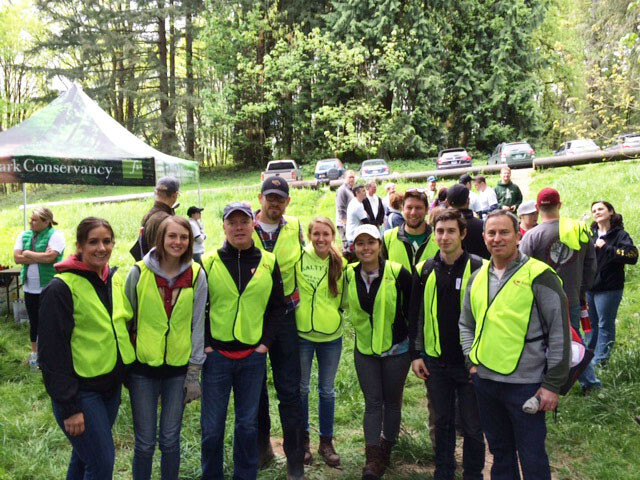 On April 22, 2015, a group of MFA employees joined a volunteer team with ESCO Corporation and Keen to do trail maintenance at Forest Park in Portland, OR. The MFA team assisted by digging trenches, constructing retaining walls, and re-setting culverts. 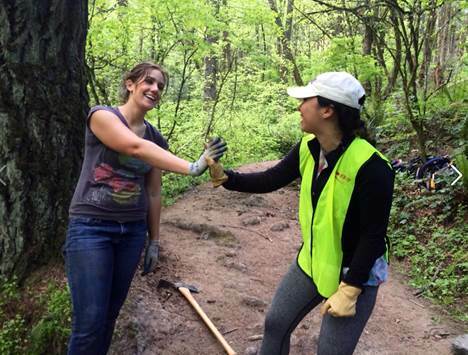 Overall, the trails team moved a total of two tons of wall rock and five cubic yards of gravel by wheelbarrow. Difficult work, to be certain, and by the end of the day the MFA team was tired, sore, and overwhelmingly thrilled to be involved in such an important effort to maintain this valuable resource. Our team certainly appreciated ESCO’s efforts in organizing and making the event so much fun.